The town of Del Mar ("of the sea" or "by the sea") is about 15 miles north of San Diego on the coast between La Jolla and Solana Beach. Apart from the charming village and expensive view properties, Del Mar is probably best known for the Del Mar racetrack and fair grounds, although it has a reputation for its charming village and expensive properties, some well into the 8 figures, along the beach. Del Mar is an affluent community of around 4,400 residents (2000 census). The downtown area is centered along Camino Del Mar (Route 101), lined with upscale shops, galleries, real estate offices, trendy and casual restaurants, small business services, and much more. Del Mar was supposedly named by Ella Loop, wife of Thomas Loop, who worked for the railroad, who built a tent city on the beach in the area in 1882 when the railroad began service from San Diego to San Bernardino. The Stratford Hotel was built in the 1890s by the South Coast Land Company, which became a popular destination for Hollywood celebrities and a focal point of the town. Development really took off in the 1920s when electricity was received from San Diego Gas and Electric. There are several hotels near the Del Mar downtown area, with the most upscale, L'Auberge Del Mar Resort and Spa, in the heart of Del Mar; others, such as the Hilton and The Jockey Club, are located over near the fairgrounds/race track, and a few straddle the beach just north of town. Sea Grove Park, just a block west of the main drag, overlooks the ocean. Parking can be a challenge, especially in crowded summer months, and is monitored carefully by the local parking officials (and enforced), so pay close attention to the meters and the signage. The business and retail part of town is easily walkable from end to end, and bicyclists are a common sight. Like the other coastal towns, Del Mar has beautiful beaches for residents and visitors to enjoy which are readily accessible. Dog Beach (a.k.a. North Beach) is well known for, you guessed it, dogs, and is located at the north end of town next to Solana Beach. Torrey Pines State Reserve and beach is just south of town, with a gorgeous stretch of public beach and plenty of parking, as well as one of the wildest areas of coast in southern California and home of the rare Torrey Pine. The Reserve is a wonderful place for a hike with fabulous views. The Del Mar Fairgrounds and Del Mar Racetrack (located on the fair grounds) are popular venues, and home to a variety of events, in addition to the thoroughbred racing season that runs from July to early September. Racing season tends to cause a great deal of traffic, on the nearby freeway as well as on the local streets - so be aware - and many condos and homes in the area become rentals (at a significant price) during this time. The poplar and well attended San Diego County Fair takes place before racing season starts, with multiple expos and trade shows throughout the year (e.g., home and garden, bridal, antiques). There are a good number of concerts there as well, during the fair as well as stand alone events. 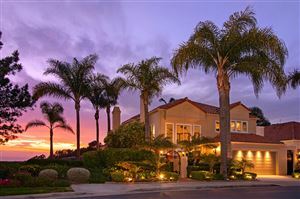 Well known and popular residential areas include the Del Mar Beach Colony, Del Mar Heights, and Olde Del Mar. Del Mar housing includes both gated and ungated communities. Del Mar real estate is expensive, and only rivaled by Rancho Santa Fe (the most expensive), La Jolla and Coronado (downtown). The average price of a single family detached home is well over $1 million, but you can find condos for under $300,000 in a few complexes. Lots tend to be fairly small and building codes restrict residents from razing older homes and building McMansions on small lots in certain areas and obstructing residents' views (the size of homes is limited to a percentage of the lot square footage). Projects must be reviewed and approved by the Design Review Board. Much of the land near the ocean is already built out so you will find few brand new construction homes, typically spec homes.